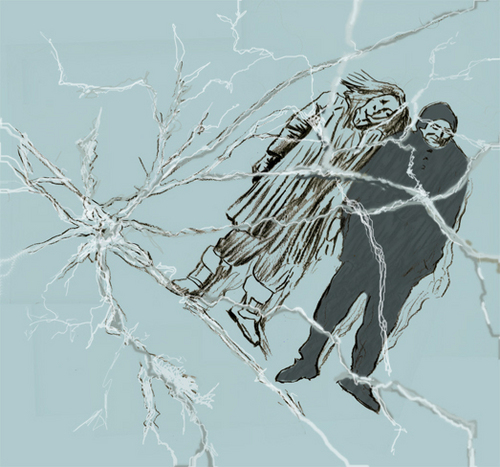 Clementine and Joel Laying on the Ice. . Wallpaper and background images in the Eternal Sunshine club tagged: clementine joel ice fan art eternal sunshine of the spotless mind. This Eternal Sunshine fan art might contain maschendrahtzaun, kettenglied, zeichen, plakat, text, tafel, schilder, and poster.